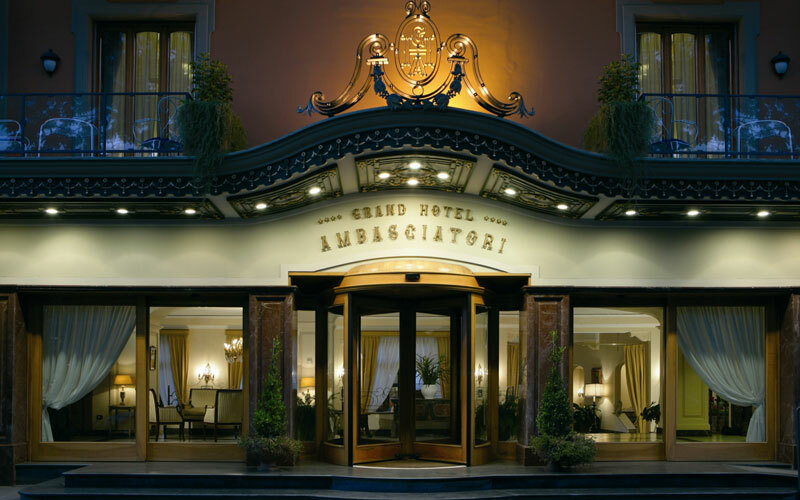 Grand Hotel Ambasciatori is an elegant hotel, situated in a panoramic location, just few minutes walk from the centre of Sorrento. 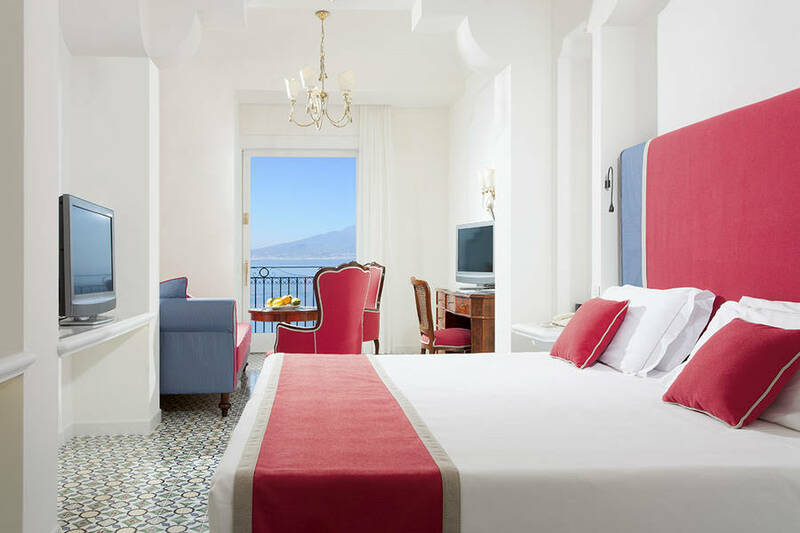 All rooms and suites, with a refined furnishing, every kind of comforts and a particular attention for services and details, offer a breathtaking view of the Bay of Naples and mount Vesuvius or of our beautiful garden. 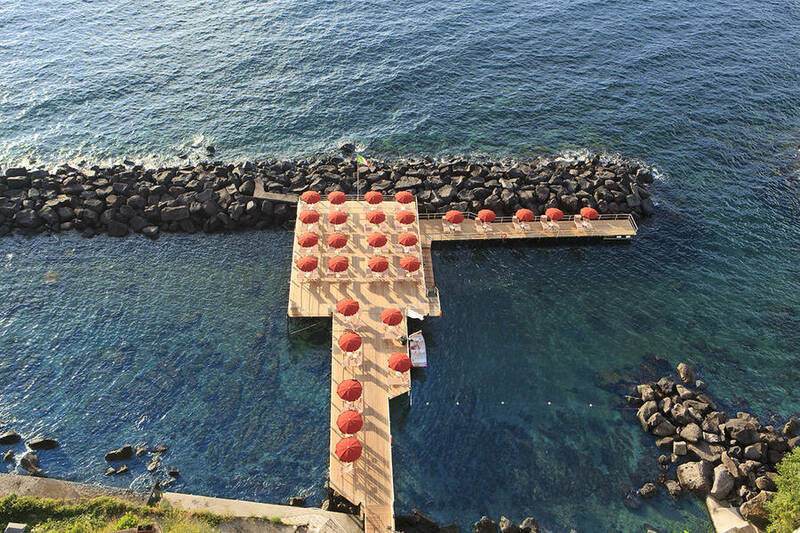 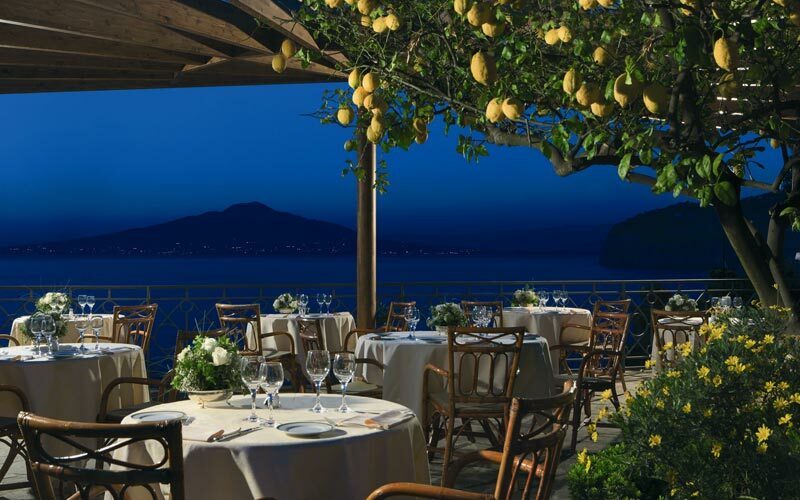 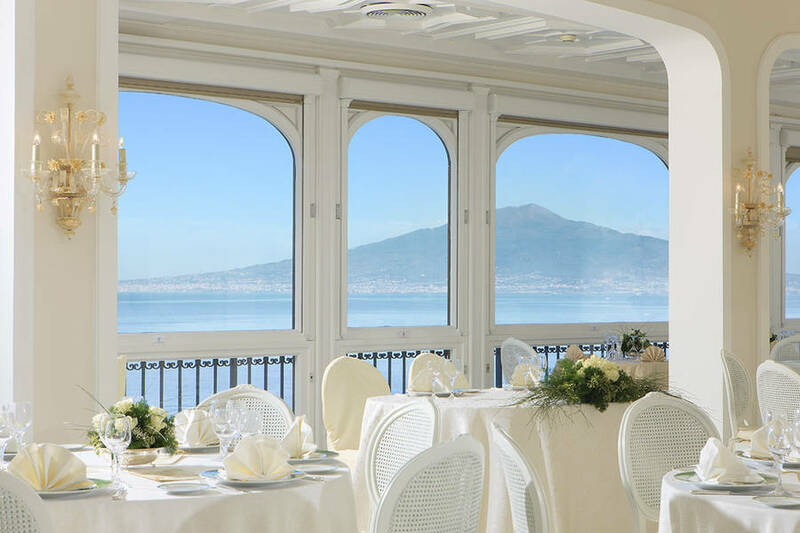 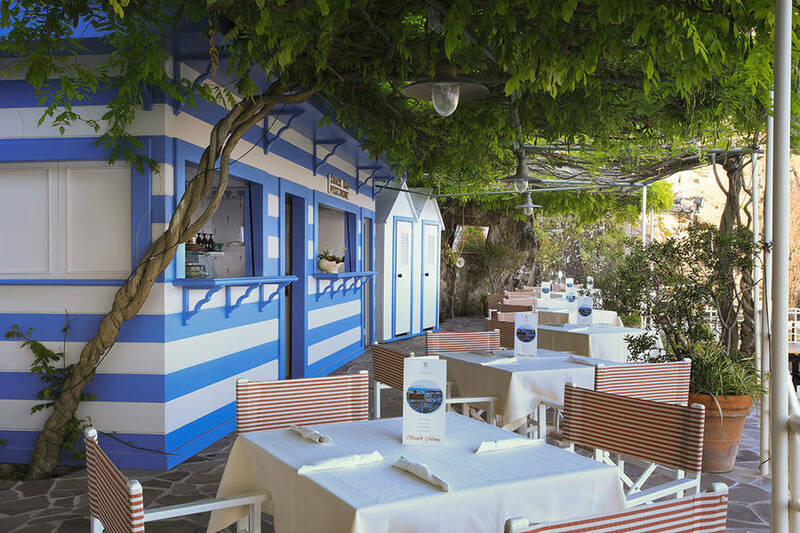 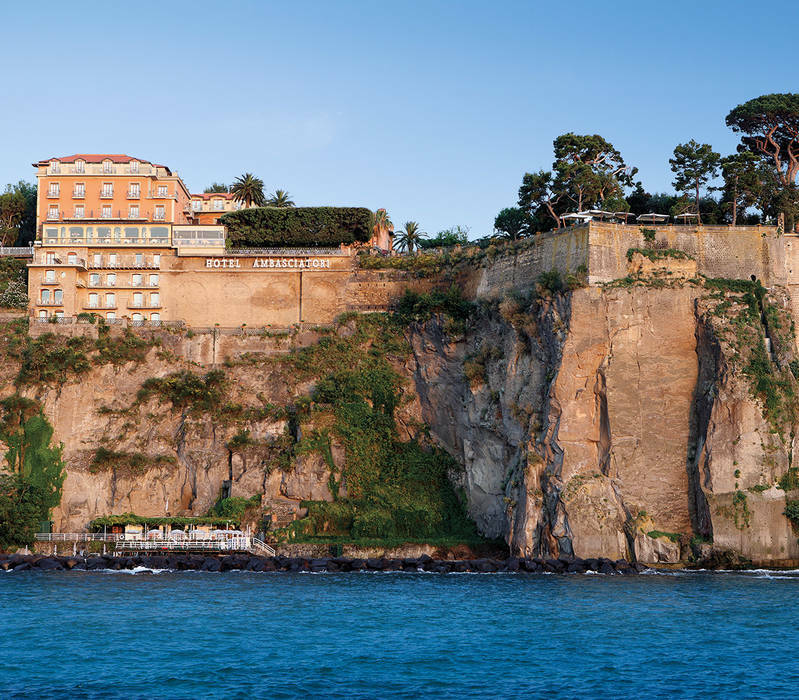 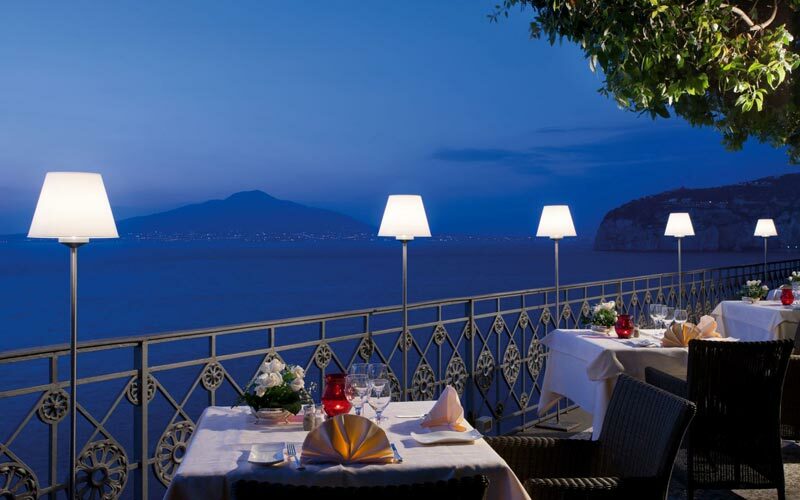 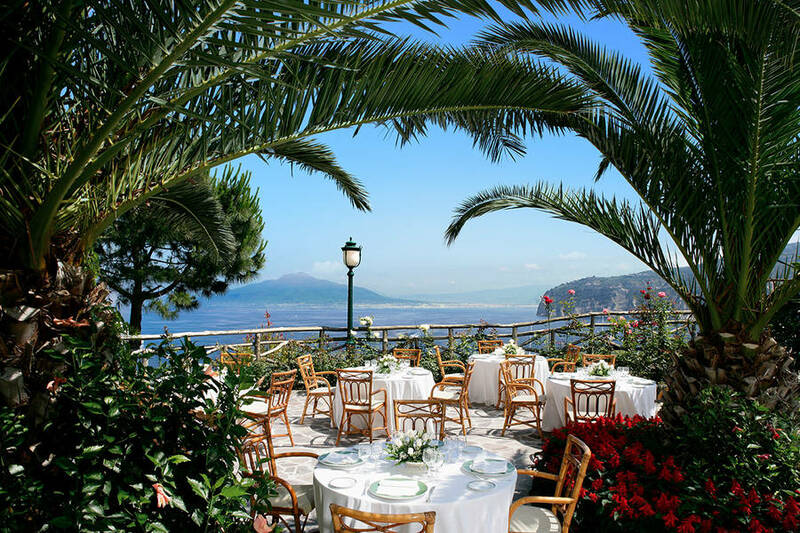 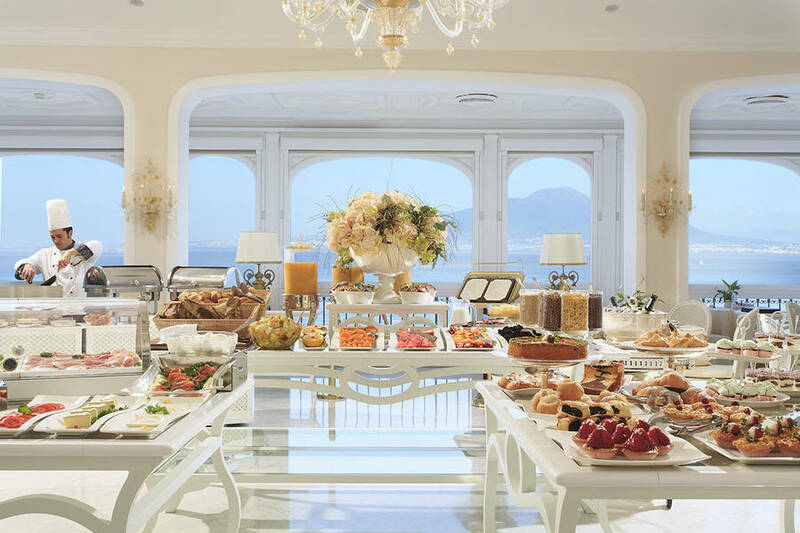 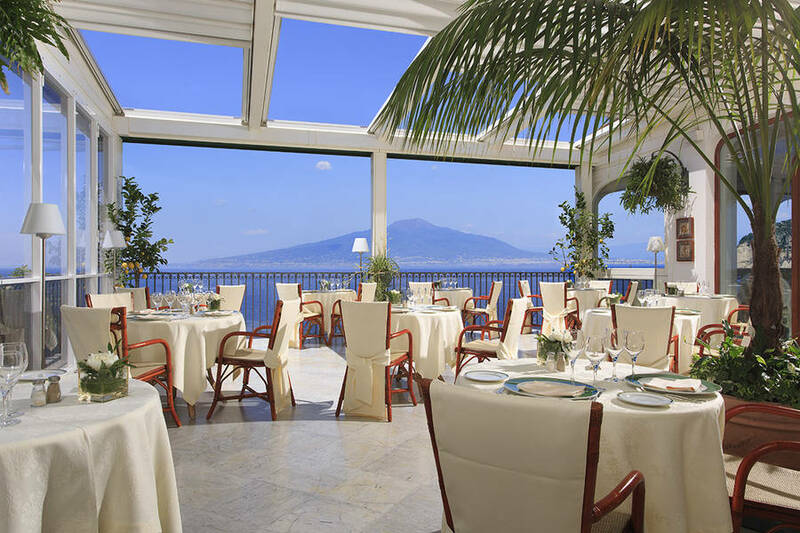 The Grand Hotel Ambasciatori, with it's fine restaurant "Le Muse", offers indoor and outdoor seating, overlooking the Bay of Naples, featuring an authentic local and international cuisine by the Hotel's talented and awarded Chef's team. 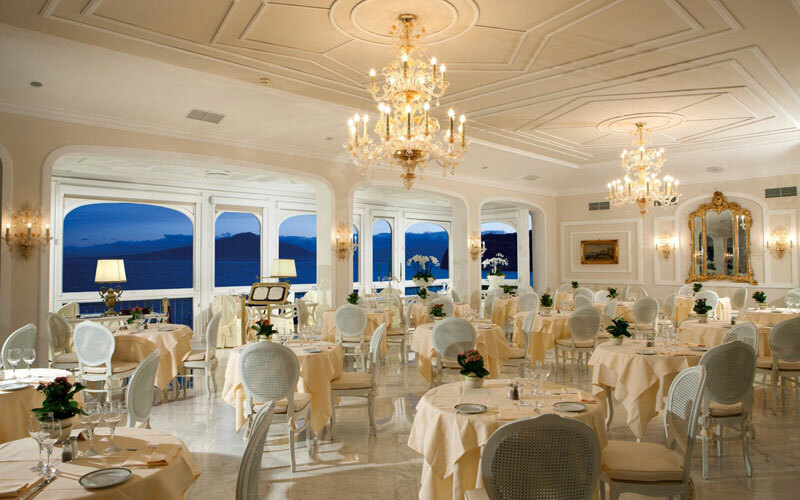 Guests will enjoy one of their finest dining experience with-in an ambiance of grandeur, sophistication and first class service. 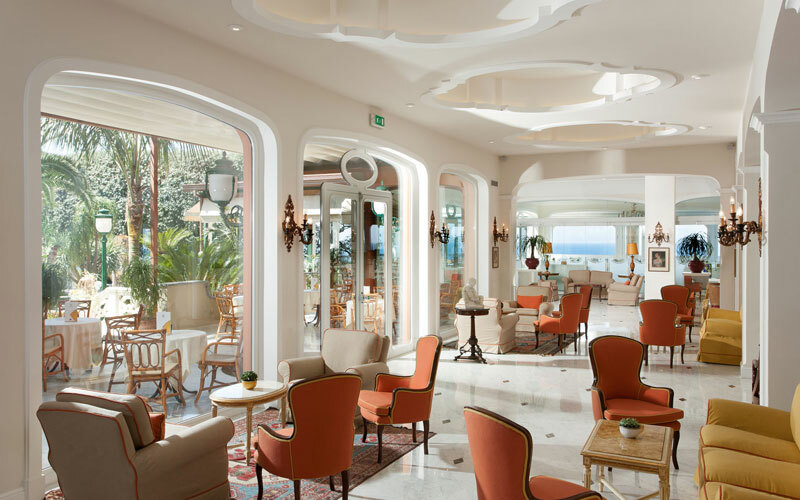 In a comfortable hall with a fine view of the garden you will find the "Afrodite" Bar, the ideal place to have a chat and a drink with friends. 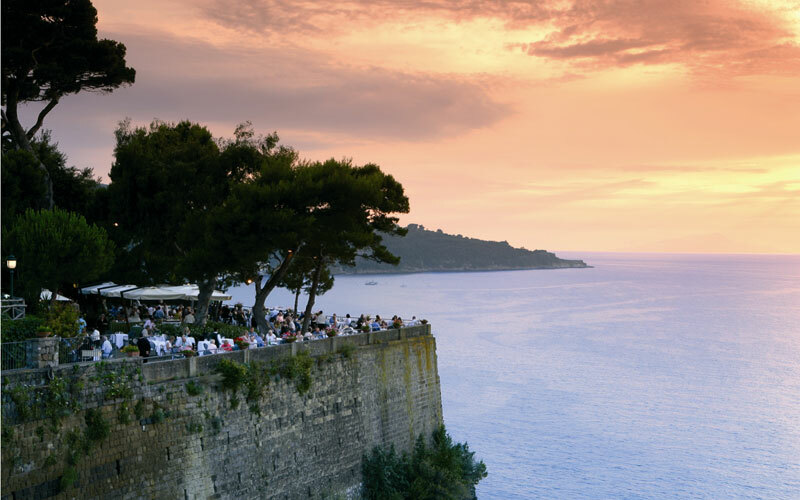 The "Poseidone" Snack Bar, is located at the bottom of the cliff face, surrounded by a rich vegetation, it is an ideal place for a pleasant rest watching the boats sailing on the sea, and sip refreshing drinks. 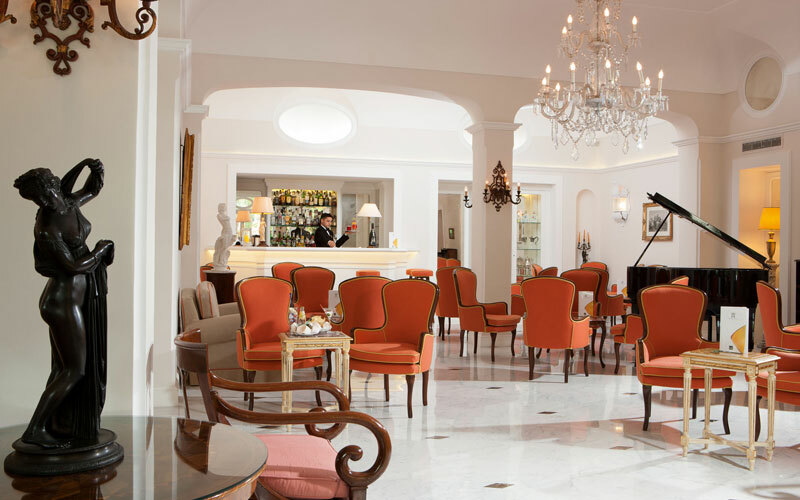 The "Dioniso" Bar, suggest for a chill-out pause. 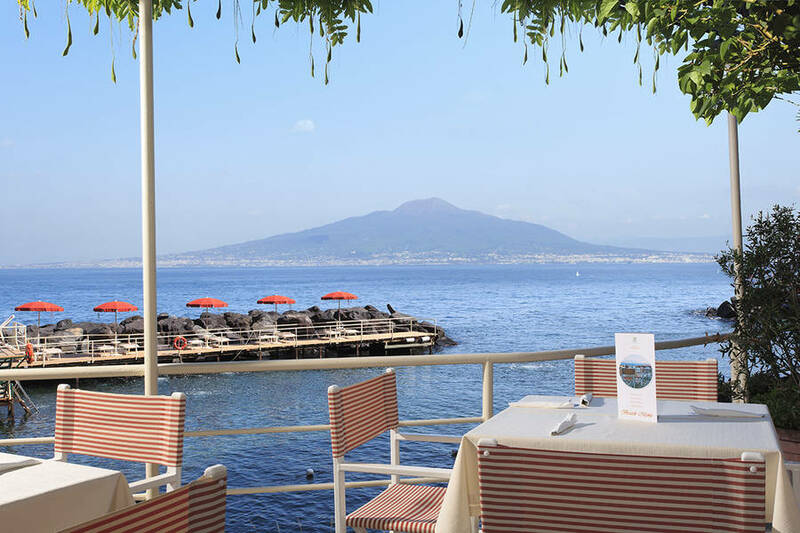 Guests will be able to enjoy coloured cocktails or taste our Chef's specialities at the Barbecue for lunch time, both located by the pool are on a wide terrace overlooking the Gulf of Naples. 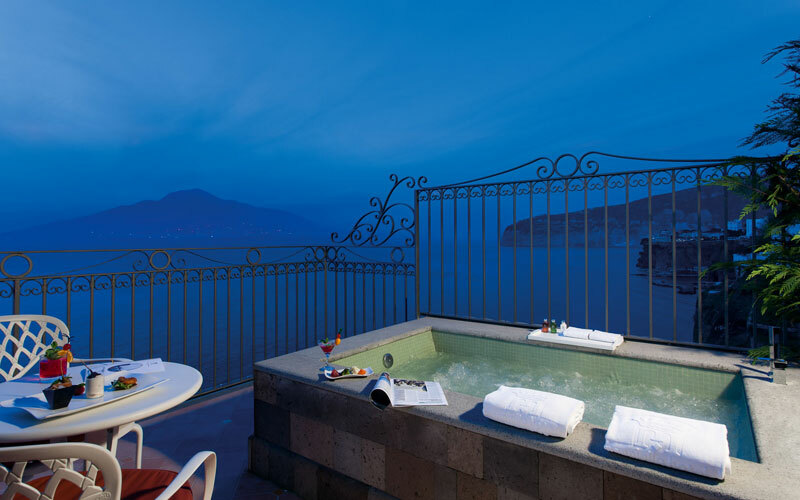 The Hotel offers an outdoor swimming pool, provided with hydro-massage whirlpool area, located in the middle of the gardens'. 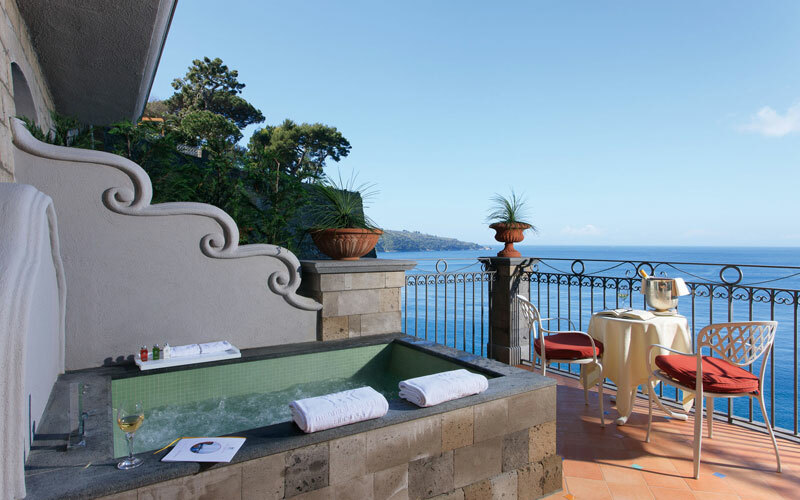 In the last 30 days 44 people have visited this page. 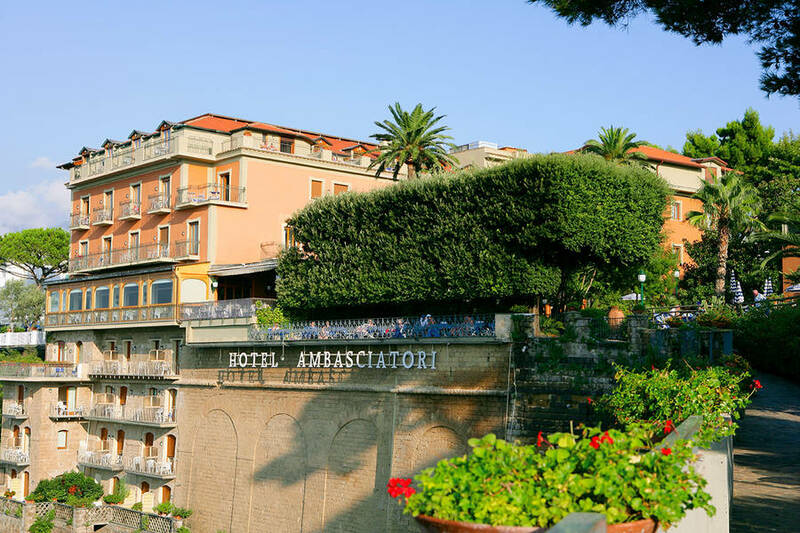 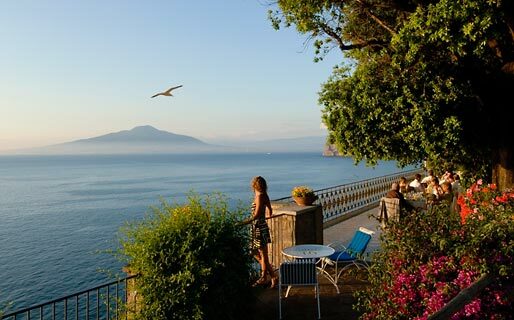 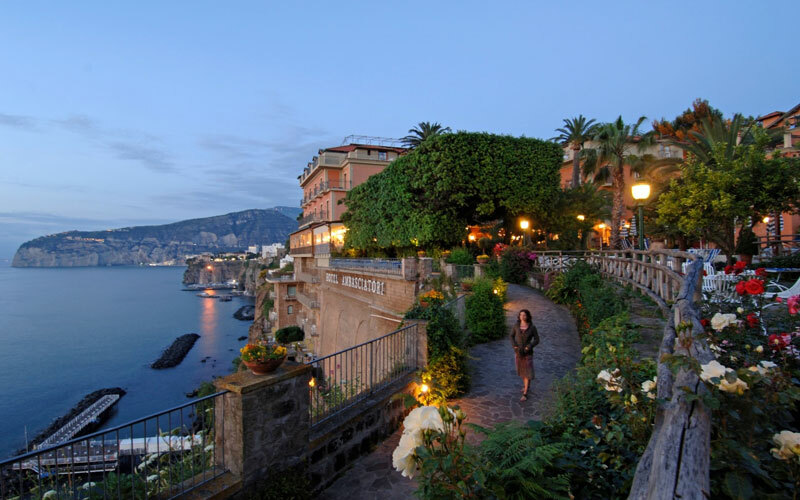 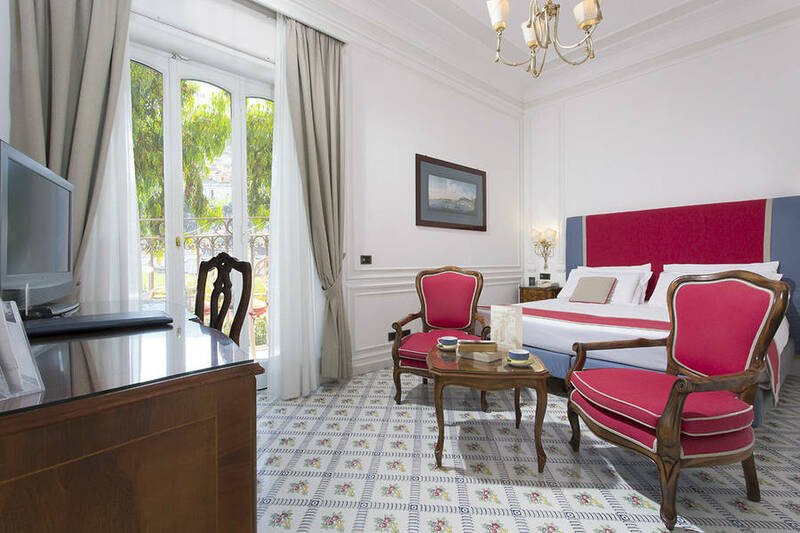 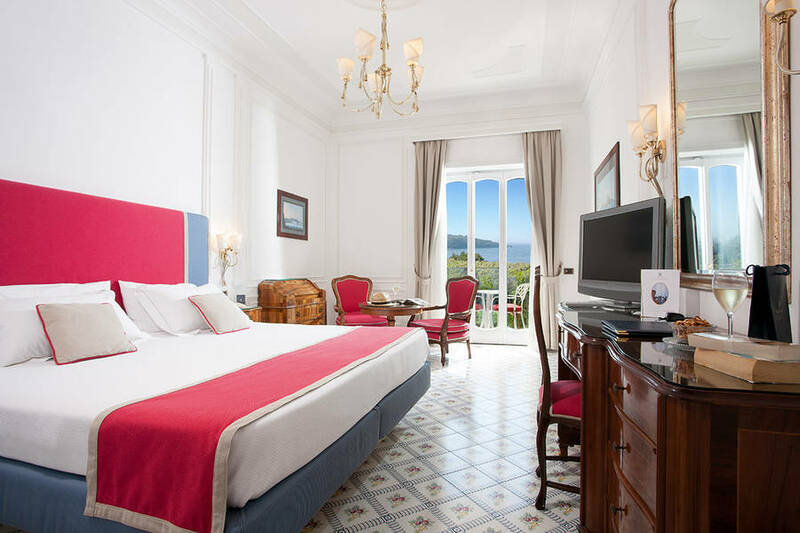 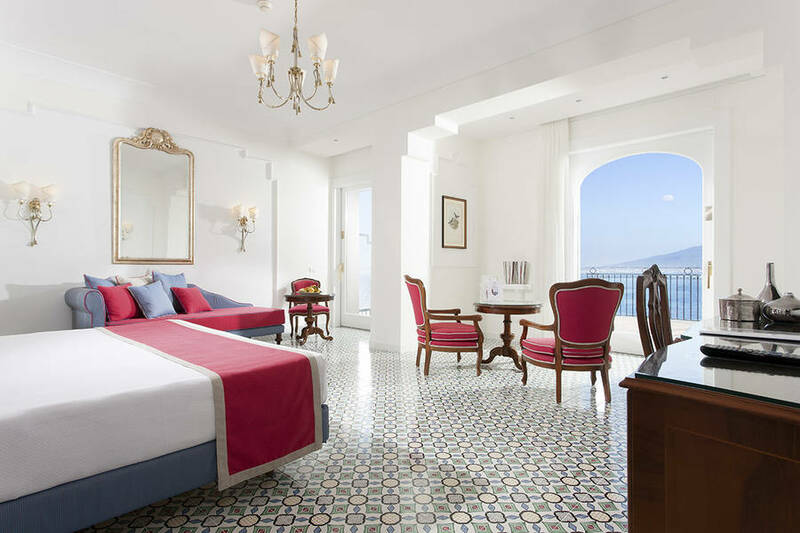 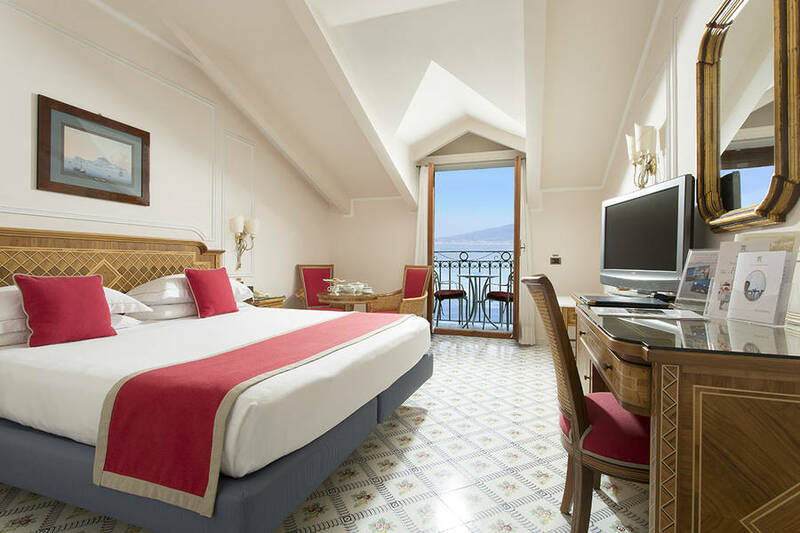 Grand Hotel Ambasciatori is located in an exceptionally panoramic area of Sorrento, just a few steps away from the town's attractive historic center. 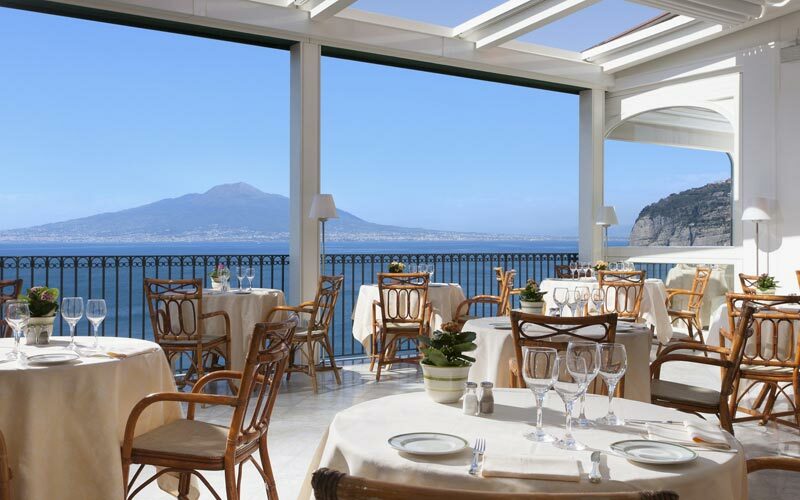 The nearest airport to the hotel is Naples' Capodichino Airport. 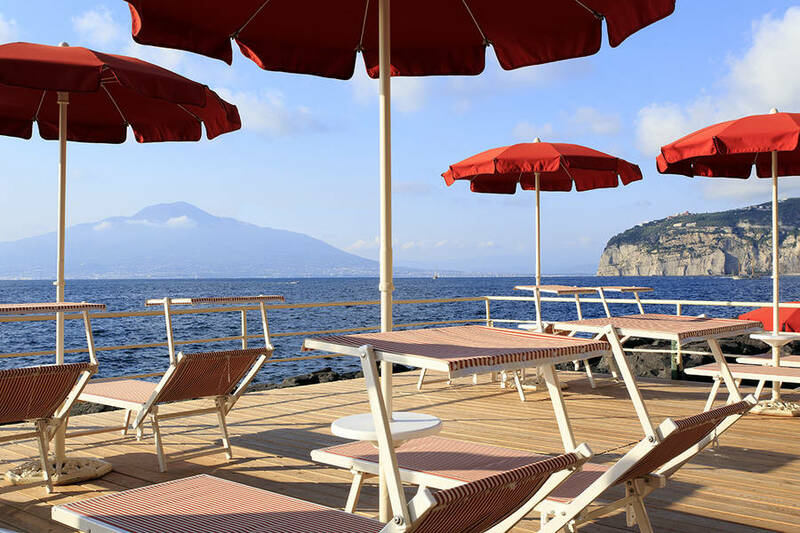 Those travelling by car should take the A3 Napoli-Salerno motorway and exit at Castellmmare di Stabia from where to proceed along the Sorrentine Peninsula. 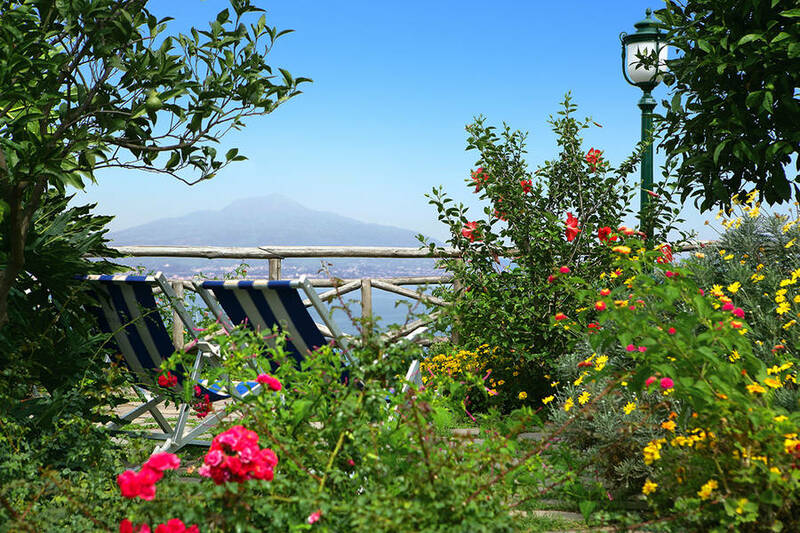 Visitors choosing to travel by train should head for Naples' Central Station from where to take the Circumvesuviana Railway as far as Sorrento. 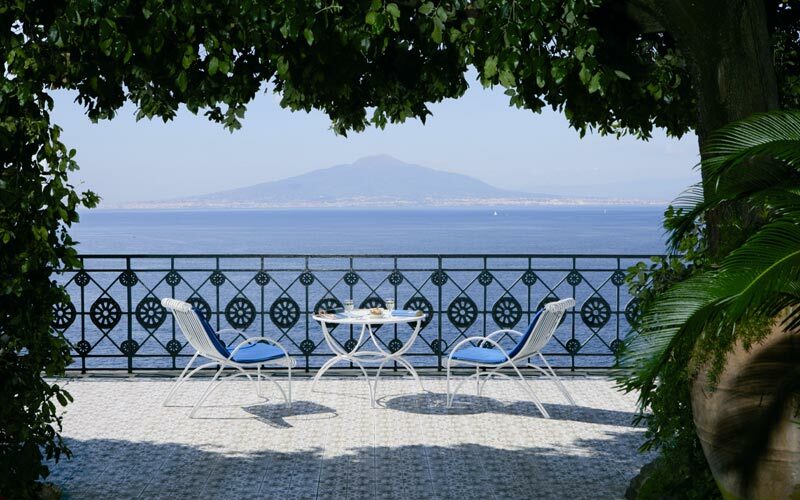 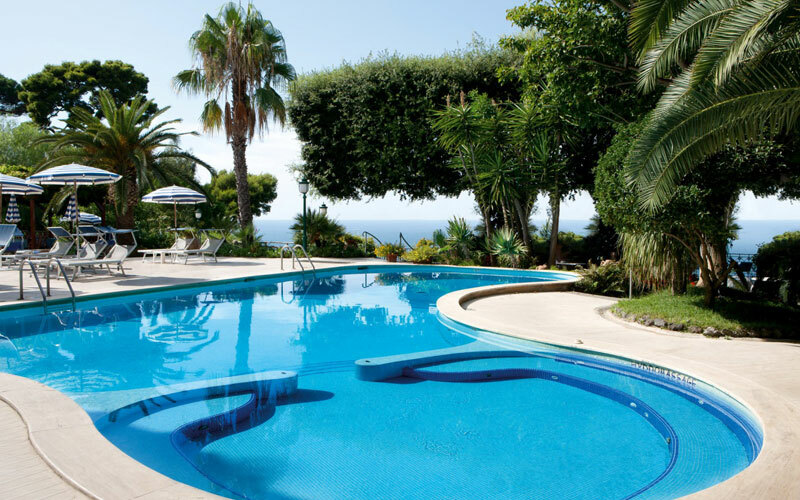 Sorrento is ideally located for those wishing to explore the Amalfi Coast and the enchanting islands of the Gulf of Naples such as Capri and Ischia.